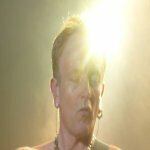 Def Leppard guitarist Phil Collen was interviewed by Eddie Trunk in late September and the full audio is now available. Phil mentioned the possible second Las Vegas residency during the interview. Phil talked about the Ded Flatbird opening set/name origin, re-learning the Hysteria songs/early songs, his hand injury, the VIVA! Hysteria cinema/2CD/DVD release, Joe's live vocals/backing vocals, a second Las Vegas residency, playing/staying in Las Vegas, the Manraze I Surrender EP, new Def Leppard recordings, Delta Deep, Vivian's health and the Love And Affection single. "Well they actually asked us. It came about you know there's been talk of VIVA! Pyromania. It was - a couple of dates were mentioned and it's like I won't be able to play guitar by then. It was like January or February and it was like I can't do it. I won't even be able to play guitar then. I think it would be great yeah we did love it and it would be great to do something again and perhaps something a little different and actually get someone else's take on it. We could ask fans and we could ask you. You know what you'd actually like to hear." "Actually we were even talking about that just throwing it in if we did Pyromania." "Yeah but we're actually gonna do some Def Leppard stuff. We actually have a new Manraze EP that we just finished. It just got mixed last weekend. Sorry Friday, Friday night. We just got it. It's amazing. It's the best thing we've done so far. So that'll be out probably in about a month and a half. It's called I Surrender. So were really, really psyched about that." "And then there's some Def Leppard recording. We're actually gonna go over to Joe's in Dublin as soon as this heals up. You know so we can actually get some new songs on the go. I don't know how many. It may just be an EP for next summer or next Fall or something. We're obviously gonna try and do an album. If not we'll just release an EP which is kinda cool as well." "We're gonna write but we've got loads of stuff. You know I got like five Def Leppard songs that are pretty much finished or on the go. I know everyone else has. Sav and Joe have for sure. You know we've gotta hook up and actually do this stuff together. And Vivian also you know. I'm gonna see him Wednesday. Him and Rick. We're gonna do some promo. So yeah there's a lot of stuff it's pretty exciting."